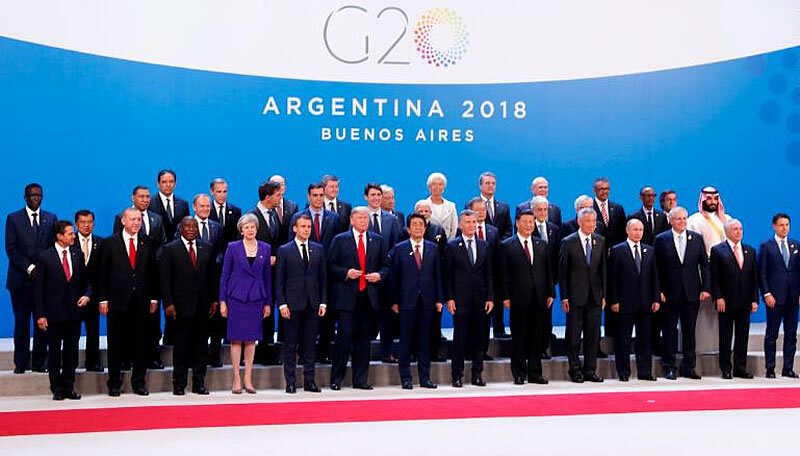 Leaders of the G20 group gathered in Buenos Aires over the weekend and cryptocurrency was on the agenda. A final communique was published on Sunday to sum up the meeting and part of it called for unified regulations and a global approach to digital currencies. As reported by FXstreet the organization confirmed its commitment to using all political tools, including digitalization of the global economy and crypto assets, to promote global growth. The publication also stated that G20 leaders are seeking to “build a taxation system for cross-border electronic services.” They are reportedly already working on such a system and aim to introduce it next year when Japan will be the president of the summit. After considering proposals from each member state a final version of the regulations are expected to be implemented by 2020. Earlier this year high ranking officials in the French and German governments issued a letter calling for more discussion on regulating cryptocurrencies. Japan, which has recently updated its ICO regulations, has also called for a more unified global approach to digital currencies. Leading companies in the industry have also called for a code of conduct regarding digital assets. Back in July the G20 asserted that cryptocurrencies do not pose a threat to the global financial system. However they have persevered in monitoring developments in the nascent industry. As with most nations and central banks the greatest concern is money laundering so AML and KYC regulation will be at the forefront of any discussions and decisions. The G20 is an international forum for government officials and central bankers from the world’s 20 largest economies. Member states represent 85% of global economic output, 66% of the world’s population and 75% of international trade. Crypto markets did not react directly to the news but have retracted by a few percent on the day as they drop back to $130 billion.